Snakky is the first snack vending machine by Necta that is only 1700mm tall (increased to 1830mm via an optional lift up kit), which is a solution conceived for small to medium locations. 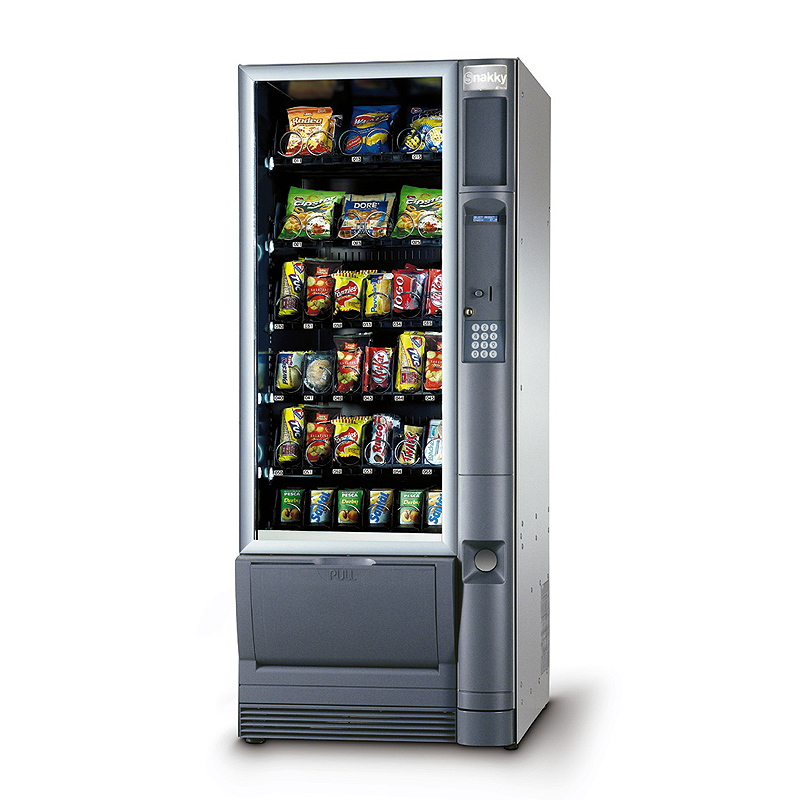 With innovative features such as the ergonomic delivery bin (patented) with anti theft device and slow closing movement and vend detection system, the Snakky offers excellent value for money. The new single block slide-in/out cooling unit requires less maintenance, due to the new wire type condenser. The payment system and electronic board are located inside a separate slide-out compartment, which means that the product temperature is maintained when operators and technicians work in this area. The Snakky has been designed to coordinate with the Kikko drinks machine, however, will sit alone or coordinate with other 1830mm high machines – offering a complete vending solution. Snakky is the first snack vending machine by Necta that is only 1700mm tall (increased to 1830mm via an optional lift up kit), which is a solution conceived for small to medium locations. With innovative features such as the ergonomic delivery bin (patented) with anti theft device and slow closing movement and vend detection system, the Snakky offers excellent value for money. The new single block slide-in/out cooling unit requires less maintenance, due to the new wire type condenser. The payment system and electronic board are located inside a separate slide-out compartment, which means that the product temperature is maintained when operators and technicians work in this area.